Inception – Your Dream is Real ! When I fist heard about this movie and concept of this movie, the first thing which came to my mind is the quote from the movie matrix. Morpheus : Have you ever had a dream, Neo, that you were so sure was real? What if you were unable to wake from that dream? How would you know the difference between the dream world and the real world? world you woke up in is not actually a really world, what if it is also a dream ? then how would you know the difference between the Real world and the Dream world ? When you start to believe that the dream world you are living is actually a real world, but suddenly some one comes and tells you that this is not actually a really world, you are in limbo (dream world forging their lives) and the only way to get out from there to kill yourself. What if when you kill yourself and come back to real world but your mind start to doubt that this also a dream world and you are still in dream (very very dangerous thought..)? Would you kill yourself so that you can go back to real world? Who will be responsible for your suicide, the person who planted the Idea in your mind that the world you are living is not real (though he planted that idea to get you out from limbo)? You have very specific and top secret information hidden in your mind, you are sure that no one in the world can know about it. What if some extractor who is very skilled in extracting the information from your mind by going in to your dream, can search your mind for the secret and stole it? Written and Directed by Christopher Nolan, Inception is one of the best I saw after Matrix. 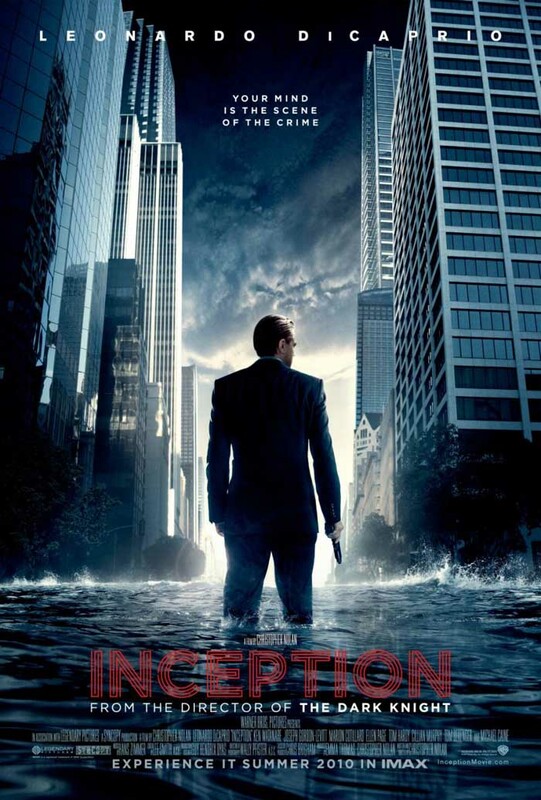 The plot of the Inception revolves around ‘Dom Cobb” an Extractor who enters the experience of lucid dreaming. Lucid Dreaming is a dream in which a dreamer or sleeper is aware of the fact that they are dreaming. Some dreamer will never experience or know that they actual dreaming because there brain makes them believe that the world they are dreaming is actually a real world until they wake up from that dream. The question here is – Why does our senses lie to us that the world we are seeing in dream is real? Why does if I hit a wall in dream I feel pain same as when I hit a wall in Real world? The important fact of the dream is you will never know from where you started that dream, you actually lands into the middle of the dream and you don’t know from where you started. (Do you? Think..). The story begins with Dom Cobb (Leonardo DiCaprio) found in a beech by a soldier who brought him into the chamber of elderly man who asks him does he come here to kill him?. the scene then cuts into the dream of in the mind of Saito (Ken Watanabe) where Cobb and his friends Arthur and dream world architect Nash are on “extraction” mission, in which the mind of individual are infiltrated through the dreams and some times dreams within the dream to stole the information. The victim and the extractor sleep in very close proximity and use a device which allow extractors to enter into the dreams of the victim and stole the information from there dream. When the enter into the dream of victim they need to battle the victims mental defenses (a projected mercenaries). After the successful execution of the mission of “extraction” of information, Saito Gives the new task to perform the “Inception” – means planting the idea into victims minds so that they start to believe that the planted idea is real in real life when they woke up from the dream. Both Saito and Cobb makes an arrangement that, if Cobb successfully completes the “Inception” mission, then all the charges again Cobb in united states will be cleared. Cobb’s wife killed herself and they believe that he did it. so Cobb run from united states to avoid the murder charges, in order to reunite with his children he need to perform the task of “Inception”. The major problem with Inception is – if someone one dies in a dream they will woke up in real world from that dream but in order to perform “Inception”, you need to take the victim through the layers of dream (dreams within dreams), if someone dies in a dream which is inside another dream then they will not woke up, they will go into limbo and there mind in real world will go into coma. The only way to know whether you are in a dream world or real is to use spinning top, which spins permanently in a dream world but which falls eventually after some spins in a real world. Cobb has problem which no one know except Ariadne (Ellen Page) a architect, she discovers that vision of Cobb’s deceased wife Mal continually haunts him, constantly destroying his missions. Cobb then tell Ariadne that they spent 50 years in the limbo (because when your in dream, the 5 mins of real world is equal to one hour of dream world, similar 5 mins of that dream world is equal to one hour of dream world which is inside that dream and so on….). So After Mal wakes up, she still thought that they are in dream world and her children are just the mental projection of her brain, so she commits suicide so that she can return to real world. Can Cobb over come Mal’s dreams? Will he perform Inception properly or they all will be lost in limbo? When they all wake up from n number of dream layers will they wake up in real world or they all are in another dream? Will he ever return to his home to meet his children? Will he plant the Idea into the victims? Why Cobb is so sure that he can do the Inception while other team members believe that it is impossible – because when you say some one don’t think about Elephants they will start to think about Elephants. Believe me this movie will definitely give your mind a great spin, a must watch movie.